PITTSBURGH—Carnegie Mellon University's Daniel S. Nagin has been awarded the 2014 Stockholm Prize in Criminology for his work in helping to reshape the use of prison and community corrections based on evidence of what works — and what doesn't. The international prize, sponsored by the Swedish Ministry of Justice with major contributions from the Torsten Söderberg Foundation, is awarded annually for outstanding achievements in criminological research or for the application of research results by practitioners for the reduction of crime and the advancement of human rights. Nagin will share the award with Stanford University's Joan Petersilia. They will be honored at the 2014 Stockholm Criminology Symposium, set for June 9-11, 2014. "Professor Dan Nagin's insightful scientific approach to the study of incarceration has already had impact on one of America's most pressing social concerns, one that affects individuals, families and government at all levels. The Stockholm Prize is a well-deserved recognition of his powerful contributions to his field, and an endorsement of the importance of serious research in criminal justice as a contribution to the social good," CMU President Subra Suresh said. The Teresa and H. John Heinz III University Professor of Public Policy and Statistics and associate dean of faculty at CMU's H. John Heinz III College, Nagin led the development of evidence showing that imprisoning offenders generally fails to reduce repeat offenses, and more often may increase crime rates, relative to community corrections options. His work helped to support the first decline in four decades in the U.S. incarceration rate, the world's highest. The incoming editor of Criminology and Public Policy, he has published more than 140 peer-reviewed papers in leading journals from a wide range of fields, including criminology, sociology, statistics, demography, economics, psychiatry and psychometrics. Based on the strength of his expertise in deterrence, the U.S. National Research Council asked Nagin to lead its Committee on Deterrence and the Death Penalty in 2012. The committee's report challenged presumptions about the death penalty's ability to deter potential murders and concluded "research to date on the effectiveness of capital punishment on homicide is not informative about whether capital punishment decreases, increases or has no effect on homicide rates." In addition, Nagin has taken on the issue of mandatory minimum sentences, arguing that U.S. crime policy has placed a disproportionate emphasis on sentence severity when it should be devoting more resources to effective policing. "U.S. crime policy must roll back its addiction to using increases in sentence severity as a response to every new crime problem. This is a politically and morally difficult Rubicon to enter, but if it's not entered, U.S. prisons will inexorably become an old-age homes rather than an effective institution of crime control," Nagin said. Nagin's book, Group-Based Modeling of Development, has changed how research on life-course development is conducted. Since its publication in 2005, the book has been applied not only to longitudinal studies on crime and aggression, but also on the developmental course and consequences of psychopathologies, obesity and concussions. 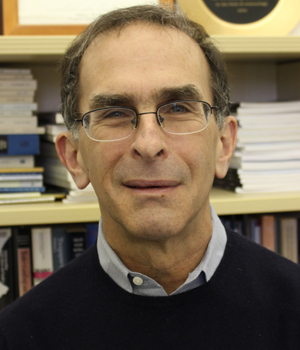 An elected fellow of the American Society of Criminology, he received the organization's 2006 Edwin H. Sutherland Award for research contributions. Nagin also is an elected fellow of the American Society for the Advancement of Science. A three-time alumnus of CMU, Nagin earned his bachelor's and master's degrees from the Graduate School of Industrial Administration (now the Tepper School of Business) in 1971. He completed his doctorate at the School of Urban and Public Affairs (now the Heinz College) in 1976. Nagin is the second Heinz College faculty member to win the Stockholm Prize in Criminology, which was established in 2006. Alfred Blumstein, the J. Erik Jonsson University Professor of Urban Systems and Operations Research, received the award in 2007. Daniel Nagin (pictured above), the Teresa and H. John Heinz III University Professor of Public Policy and Statistics and associate dean of faculty at CMU's H. John Heinz III College, is being honored for his work in helping to reshape the use of prison and community corrections based on evidence of what works — and what doesn't.